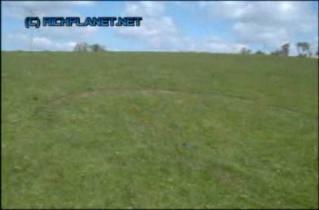 Farmers in England witness UFO projecting laser beam onto sheep. the mysterious orange lights in the sky (Seen throughout the world - added by Colin Andrews). the mysterious orange lights in the sky. 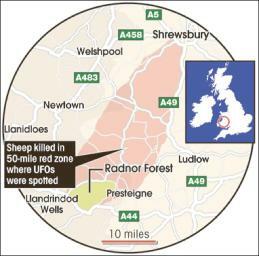 the UFOs were found to have roamed a 50-mile "corridor" between Shrewsbury and Powys. work last month while working during the night at a Welsh hill farm near Radnor Forest. animals or deaths with strange injuries", he told the paper. 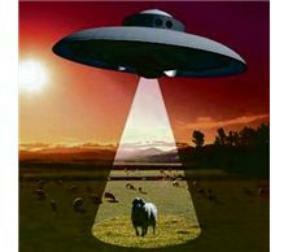 farmers’ claims that aliens are attacking their livestock. 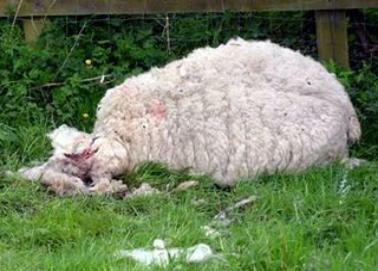 Farmers claim the unexplained attacks on their sheep were caused by aliens. 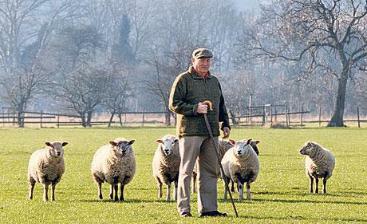 Shropshire and Wales to carry out bizarre experiments on unsuspecting sheep. 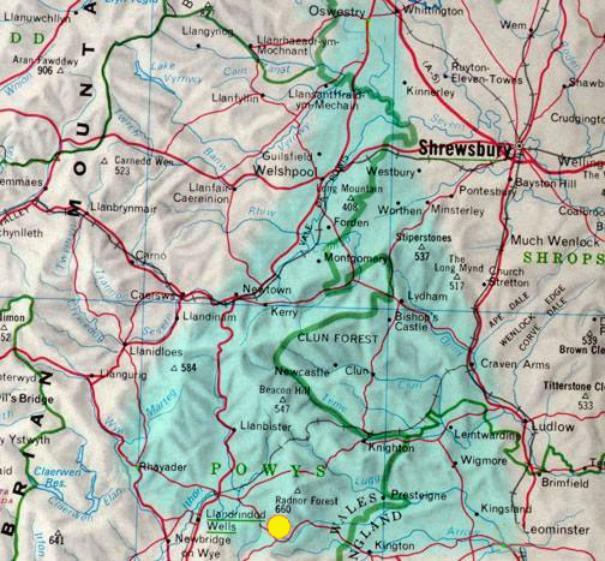 with the latest occurring last month as 15 members staked out a hill farm near Radnor, Powys. 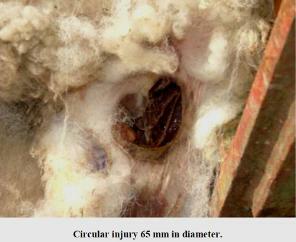 floor and claimed many farmers subsequently discovered mysterious mutilations on their sheep. had lost eyes or had their flesh carefully stripped away. discharging small spheres that darted across the valley floor. disappearance of animals or deaths with strange injuries. kind of unexplained intelligence and technology. 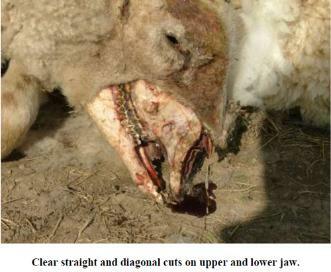 explanation – thousands of lambs die every year from predation and other natural causes. cat attacks and satanic cults. carried out with surgical precision, with flesh peeled back and organs “clinically” removed. series of similar cow attacks have been reported. coast of England and cases involving hedgehogs in Yorkshire. recording equipment on request from farmers. professional marksman from the West Midlands to stake out the farm on eight-hour shifts. bemused by the group’s claims. members would have reported such incidents to us. “But we’ve had not a single phone call, which is very telling. 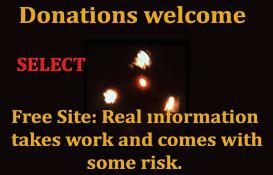 To report incidents: phil.hoyle@yahoo.co.uk or 01743 245574.
committed to carrying out research into the animal mutilation mystery. increased sightings of mysterious red and oranges spheres in the sky. 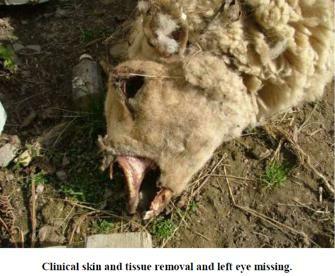 found killed in Powys and in 2001 co-founded the Animal Pathology Unit. Radnorshire Forest,” he said, when asked about the stake-out. 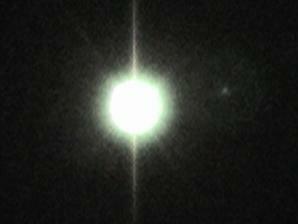 the bottom right of the first light about a quarter of a mile away. forwards across the valley floor as though they were looking for something. appear to our right, just behind a small hill where we were camped. we thought the red spheres not only knew where we were there but they were watching us. been found with neat hole and their brains and other internal organs removed. Unit and Phil Hoyle HERE. Excuses and lies have run their course". Mountains all the way down to the Brecon Beacons. factual information which has or could have a direct link to these attacks. operating in areas across the United Kingdom. professional people who are fully aware of the animal mutilation problem. the early years of mutilations investigations in the UK. location of many such sightings and unexplained animal deaths. viewing area but thankfully we had no rain. the first light about a quarter of a mile away. flashes of light in the sky above the hills. only knew we were there but they were watching us? and off and moved instantly from one point to another. area was approximately four to four and a half miles from our surveillance viewing point. 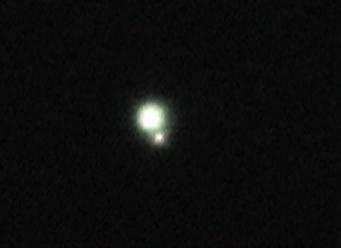 and red or white spheres recently or in the last 3 years over the area. 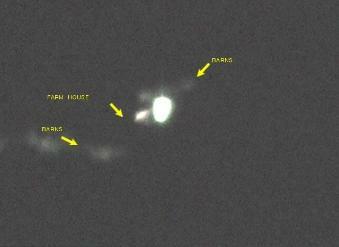 which is right next to a farm with mutilation activity and numerous other UFO sightings. always try to duplicate the footage with analogue video to make a precise viewing comparison. some slight movement was due to the high winds and vibration from our feet from the severe cold. craft can contact us at www.apfu.org all information will be treated in strict confidence. reader a wider view of the activity in the Shropshire-Radnorshire area. not identify what it was but it stayed there for a very long time. he told me something very strange is going on around here? o’clock in the morning and he looked over to the back of his home. anything like before or since? abilities but staying far enough away as not to reveal their true identity. police sign and light on top of the car. was always between the hours 12 and 2 am? livestock mainly sheep after sightings of the Spheres. smallholding reported to me he witnessed many strange events over farmland next to his home. incredible speed into the distance. decided to conduct surveillance operations in high activity locations and at peak times. Still frames from the orange Radnorshire Forest UFO. 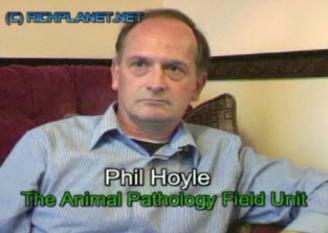 Copyright: Phil Hoyle: The Animal Pathology Field Unit. Bleddfar, Powys, Wales, 2009. Copyright: APFU. 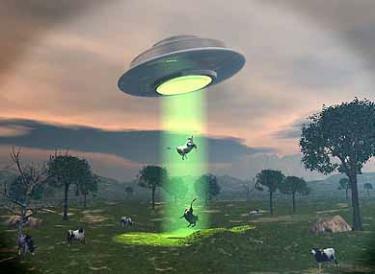 The Cattle Mutilation issue raised in British Parliament. allow the Secretary of State for Environment to avoid his questions. Expect this story to get hotter. 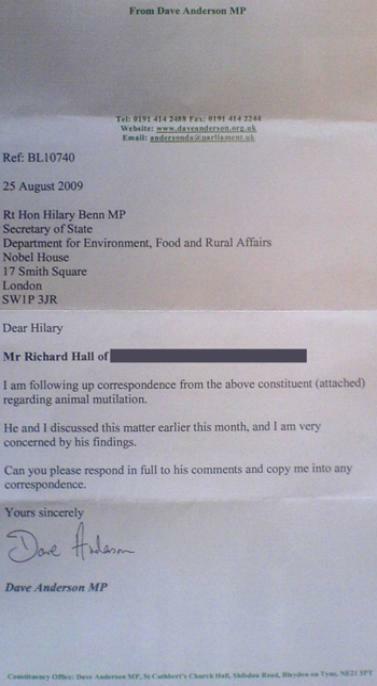 from Mr. Richard D. Hall of Blaydon on animal mutilation phenomena. replied to my hon. Friend on 19 October, 2009 and regret the intervening delay. 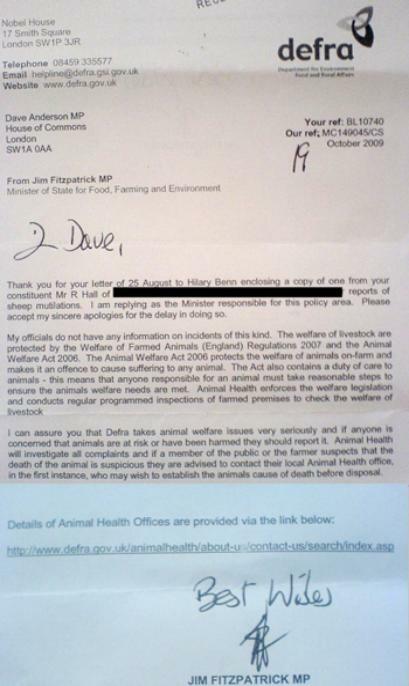 December 2009, (c) 15 December 2009 and (d) 2 March 2010 on animal mutilation. correspondence of the dates referred to by the hon. Member for Blaydon. in Radnorshire where many of the sheep mutilations and red-orange spheres are being seen. INTERVIEW WITH DAVID CAYTON AND RICHARD D.
HALL ON THE EDGE MEDIA TV. research efforts of APFU, numbers will be kept low. Check into this years tour HERE. 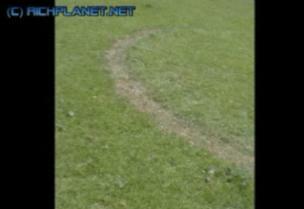 Horse Shoe (semi-rings) have been found where sheep have been mutilated. The soil is baked.